These Award-Winning Online Lessons Are The Author’s Latest Attempt to Shake Up the Pilates World! We have featured the award-winning lessons by Bob Hannum here before and we’re proud to do it again! 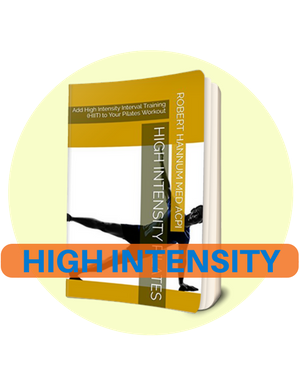 His high-quality instruction is different from anything out there today because he painstakingly simplified every exercise so it’s quick and easy to learn the way Joe and Clara originally taught. It’s taken him 40 years to do it. Here’s all about his journey in his own words – what inspired this journey, what his teacher, the Pilates Elder Mary Bowen had to say about it, what it took to accomplish, and where it all stands today. A fascinating read by one of our leading Pilates teachers and one of our own here at GetYourPilatesOn! There are a great many low cost and free online Pilates lessons. What I present here is very different from all of these and here’s why. First you’ll notice when you search the web that you have 2 options for learning Pilates online. Pay a reasonable monthly fee, usually about $20, and get access to experienced and even well-known teachers. The other option is Youtube. There you’ll find many free videos, some good, some not so good and everything in-between. Both these options have one thing in common, they are part of an overall trend in the Pilates world since Joseph Pilates died in the ‘60’s. This trend is toward more and more complexity in our teaching which results in a more difficult learning experience, especially for beginners. And this means a more time-consuming and expensive investment which I believe is hindering Pilates’ growth and popularity worldwide. Science has many names for this natural trend toward more complex systems and organisms. It’s just the way things go. Part of this is the wonderful effort by so many Pilates instructors to breathe new life into their instruction and into the experience of their students with new imagery and information and integrating other methods such as yoga (Yogalates), boxing (Pilaoxing), Zumba (Zumbalates) and even tango (Tangolates). There are other reasons as well for this trend which I explore in another article. All of this is wonderful and natural. I too am breathing new life into my instruction, but by going in an entirely different direction! Instead of looking for something new to say, I went backwards! I stripped away all those terms and images which I found so difficult to understand as a beginner, such as c-curve, navel-to-spine and lateral breathing to name only a few. I sought a simpler and easier-to-understand way of teaching and learning Pilates….. In my free online Pilates lessons there are no strange terms, no talk of physiology or kinesiology. No breathing techniques. Nothing complicated. Nothing extra. Just pure movement with enough precautions to keep it absolutely safe.Many of my students have tried Pilates before and quit because it was too difficult to learn. These same students find my instruction different…..
For more on Bob’s journey and an example of his new style go to https://www.pilateslessons.org/free-online-pilates.html.